Features: small and exquisite appearance, durable, not off color. 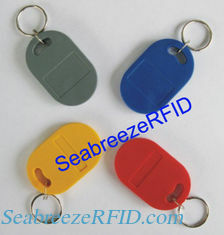 Can be hung on the key chain, easy to carry. A variety of styles and colors to choose from. ODM and OEM products according to customer's demand. Printable ID code, serial number, LOGO, etc. Application: access control, public transportation, parking, identity authentication, attendance management, tickets, id paid, product identification, etc.